A plethora of Edinburgh attractions are only minutes walk, such as the Royal Scottish Museum and St Giles Cathedral. There is also an abundance of bars, restaurants and cafe's in the immediate area. 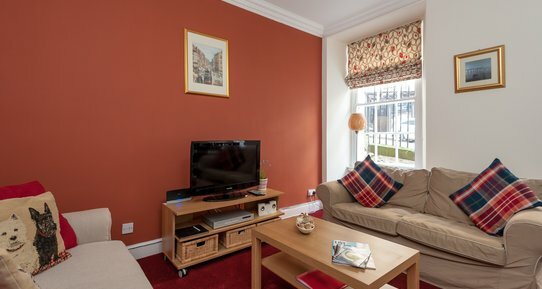 This apartment is furnished and decorated to a high standard to make your stay as comfortable as possible. 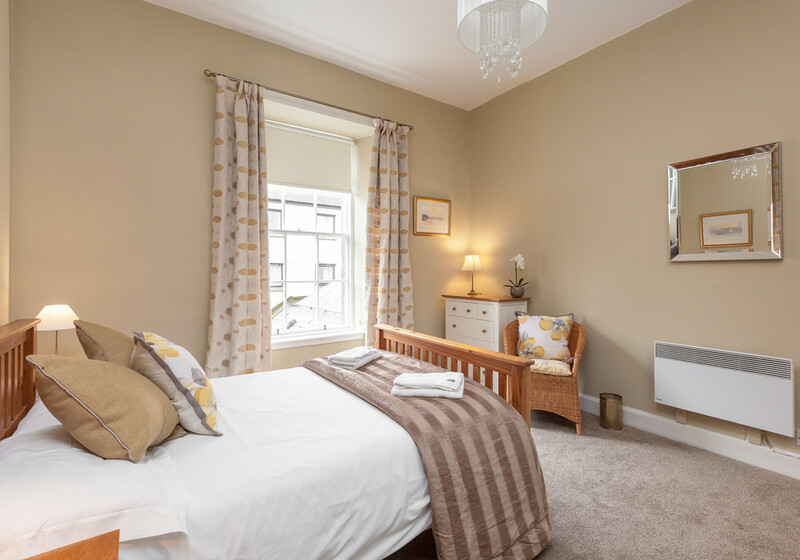 LOUNGE/DRAWING ROOM: This is an extremely spacious room that provides a wonderful place for you to relax when you are not out and about the city. The room consists of two sofas, a dining table suitable for six people and some smaller items of furniture. A large Victorian fireplace with a gas coal effect fire dominates the room and provides additional heat to the electric heating. A selection of dvd's and cd's are provided for your enjoyment. 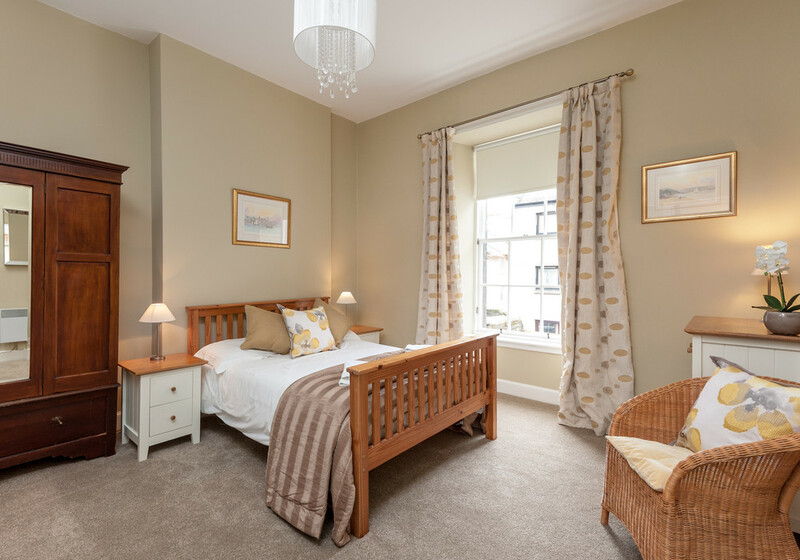 BEDROOMS: Both bedrooms contain double beds and are situated at the rear of the property for a quieter nights sleep. A wardrobe and chest of drawers in each room provide ample storage space for your possessions. 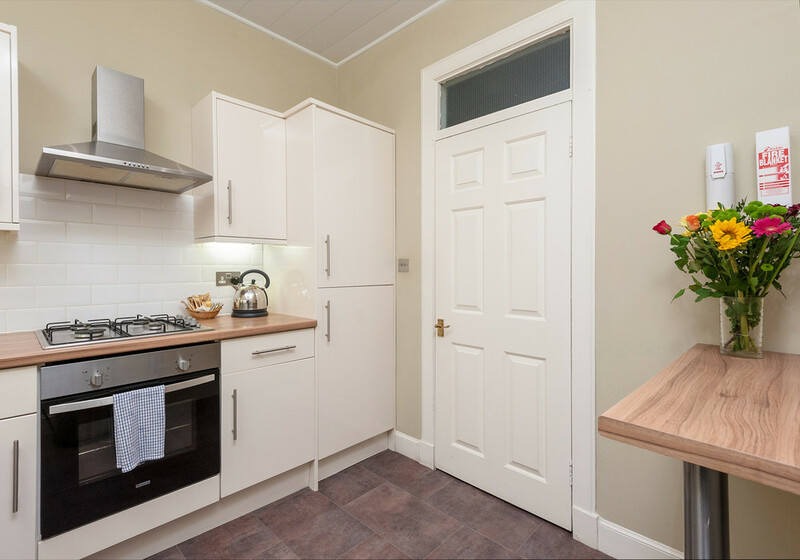 KITCHEN: The kitchen is equipped with a fridge & freezer, electric oven, gas hob, microwave oven, dishwasher, washing machine (separate tumble dryer in hall cupboard) and cutlery/crockery for up to six people. 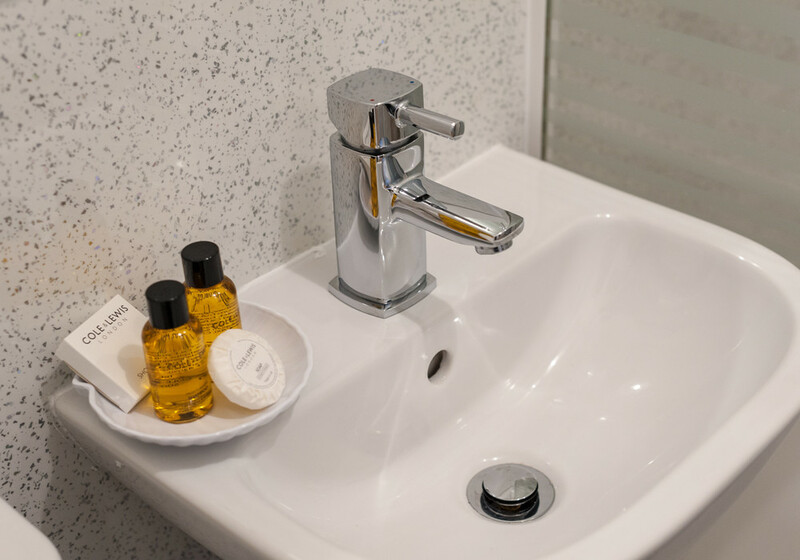 SHOWER ROOM: A large shower unit with an instant electric shower. Please note there is no bath in this property. - linen & towels are provided. - The airport bus drop off point and main railway station are 5 minutes walk. 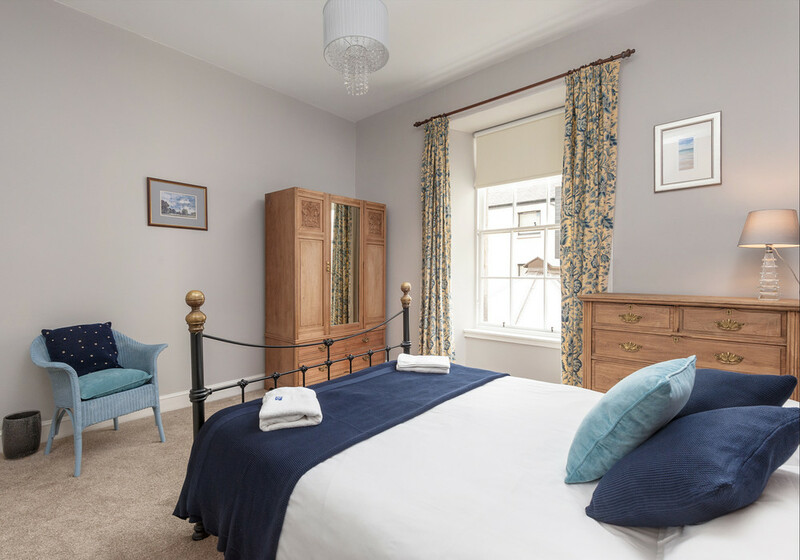 - A portable 120cm wide double bed can either be erected in the lounge or a bedroom as an additional sleeping option, this must be selected at the time of booking if required. Photo in gallery. 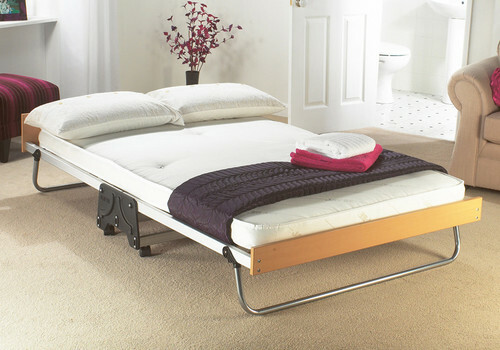 1 x standard double bed, 1 x kingsize double , 1 portable double bed (see photos). We enjoyed the Edinburgh 13 Blair Street flat very much. Great location. Street noise was somewhat bothersome, but other than that, no complaints. Flat was clean and met our needs very well. The hair dryer listed on the amenities list was missing. We called to report this problem and a brand new hair dryer was waiting in the flat when we returned from seeing the sites. Amazing service. Damage deposit was credited within two days of our departure. Flat was perfect for us. Clean and spacious. Street noise was bothersome, but other than that all was perfect. Perfect location. We could not find the hair dryer promised in the amenities list. We called to let management know and a brand new hair dryer was waiting for us when we returned from seeing the sites. Thank you.